SAP PS ( Project Systems ) module can optimizes the business processes from project planning through to carrying out the project and handles Organizational Units & Project Cycle, Project Structures,Planning and Budgeting,Materials and Services , Scheduling ,Execution, Period End Closing etc. In this page you will get some SAP PS Tutorials, transaction codes, tables and Pdf training guides for reference. 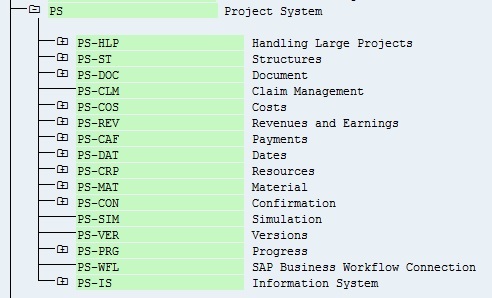 Following list provides the important sub-modules of SAP Project System module. 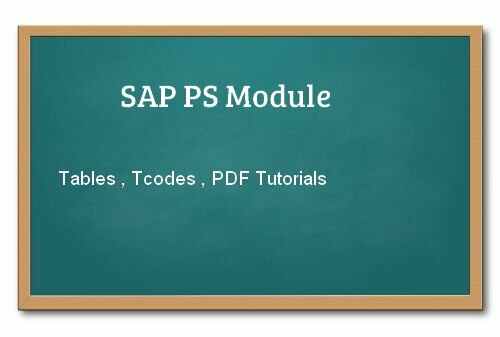 Also refer the following link to get more insights and tutorials for PS module from SAP official website Click here.